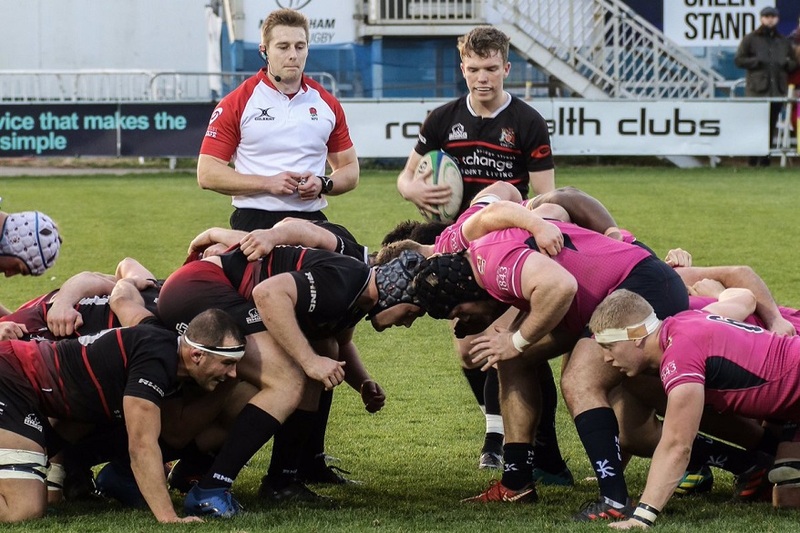 As the BUCS Super Rugby Season presses towards Christmas, NTU hosted league newcomers Cardiff University at Lady Bay this week, hoping to make it three wins from four on home turf. NTU returned to competitive action after a two week break since losing 19-37 against Bath at Lady Bay on 31 October. The team looked to take advantage of the extra week’s rest over Cardiff, who narrowly lost out to Northumbria last week at 34-29. Thanks to a commanding opening 10 minutes which saw NTU grab three try’s before anybody had even got settled in their seats. The team continued to push from the very start and went on to win the match with final scores at NTU 38-19 Cardiff. Superb work from Alex Goble in the opening two minutes helped us get over the line early. This was followed by a successful conversion from Max Craven: NTU 7-0 Cardiff. It continued to get better for NTU when Harry Graham turned up to full speed down the wing to go over the line in the corner. Despite an unsuccessful kick from Craven, NTU weren’t disheartened: NTU 12-0 Cardiff. With the clock on nine minutes great carrying work from Caetano Branco, who combined with Harry Graham, allowed David Williams to finish off some quality play to give NTU a third try: NTU 19-0 Cardiff. After an intense opening few minutes, Cardiff started to put pressure on the NTU defence and their persistence paid off in the twenty-first minute when they battled across the line and got themselves on the board: NTU 19-5 Cardiff. Cardiff continued to try and take advantage of a dip in NTU performance after a fantastic start. They got another breakthrough in the twenty-ninth minute when they went over once more: NTU 19-12 Cardiff. NTU went in to half time with the advantage after a brilliant start, which they looked to build on in the second. The score at the interval: NTU 19-12 Cardiff. Some great work after the restart from NTU after a line out on the Cardiff five-metre line allowed the team to go over via a driving maul: NTU 26-12 Cardiff. David Williams showed some scintillating speed to burst through Cardiff defence and score another try for NTU, well and truly turning on the style: NTU 31-12 Cardiff. Cardiff continued to battle hard and were rewarded for it when they picked up another try in the sixty-second minute: NTU 31-19 Cardiff. With the game heading to a close, NTU weren’t finished just yet after some good hands from Ed Morgan gave way for David Williams to go over the line again for his hat-trick: NTU 38-19 Cardiff. The final score, for a game the men in pink needed and achieved a vital win, stood at: NTU 38-19 Cardiff. The result mean NTU remain eighth in the table. The lads return to training as they prepare for a tough away game at Exeter next week.